Dr. Levat has a specialty in internal medicine and is board certified by the American Board of Internal Medicine. He graduated from Columbia University and received his medical degree from State University of New York at Buffalo. Dr. Levat did his internal medicine internship and residency at Montefiore Medical Center. He is licensed to practice in New York and Connecticut. 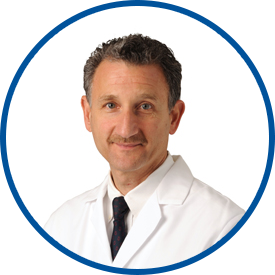 Dr. Levat has been with WESTMED Medical Group since 1996. He is a member of the American College of Physicians, the New York State Medical Society and the Westchester County Medical Society. Dr. Levat’s hospital affiliations are with White Plains Hospital and Greenwich Hospital. *Dr. Levat is a kind & compassionate person. Love him!! Took plenty options with me and very patient. Dr.Jay Levat is a physician's physician. He is smart, understanding and an excellent diagnostician.Dr.Levat considers me as a whole person. He has been caring for our family for over 20 years.We are savvy consumers of medical care and we would not be coming back if we did not fully trust him. i feel blessed to have Dr.Levat as my internist. As usual, I always feel much better mentally and physically after seeing my doctor. Dr. Levat is the best! I'm very pleased that Dr. Levat is my primary care provider. He's wonderful! Dr Levat was extremely courteous and makes you feel at ease. I was very happy with the appointment and am happy he's my primary care physician. There cannot be a better physician than Dr. Levat. Dr. Levat continues to be a magnificent care provider. He is thorough, professional, clear and understanding. Top notch. Dr. Levat is a warm and caring person and doctor. I am so glad He is my primary!! You need to put *Jay Levat through a Xerox machine & clone him. I have been a patient of Dr. Levat's from before he joined the West Med Group and would not think to use anyone else. I have recommended many friends and most family members who are still his patients. My experience with Dr. Levat is excellent. He is the most understanding and pleasant doctor and I have already recommended him to my family. Dr. Levat is the best physician I have ever known. I feel fortunate that he is in charge of my medical care. I would recommend him to anyone. Jay L. is the best! Dr Levat has been my family doctor for years...he is wonderful...always concerned about my best care! Excellent dr. has been my primary care physician for 6+ years.